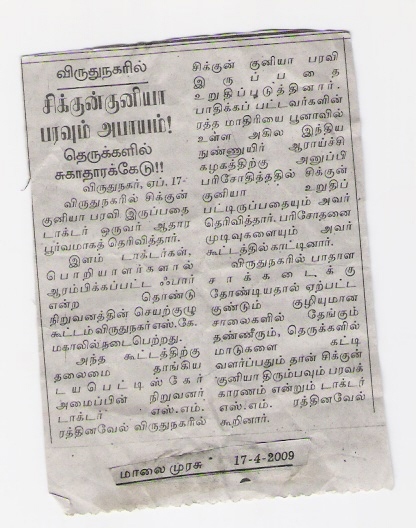 People from virudhunagar know that how many family members and friends have and are suffering from chikungunya. People are crippled with fresh outbreaks of chikungunya for the past two months. 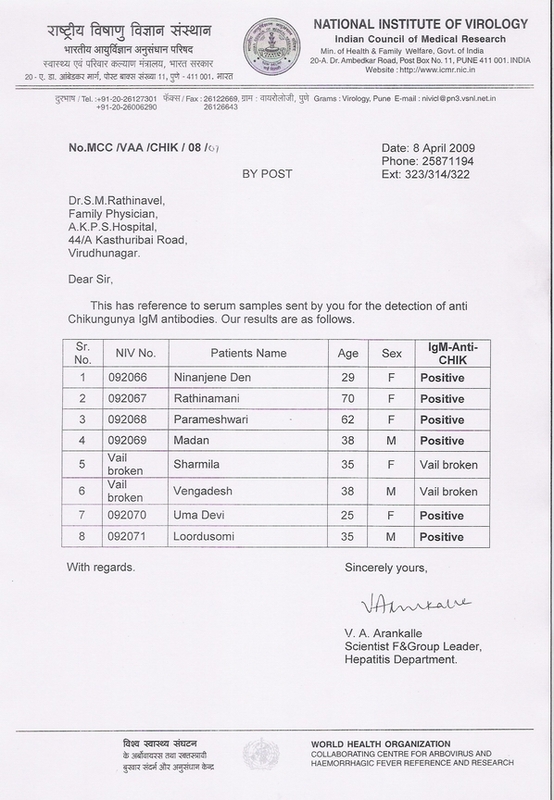 The chikungunya cases have confirmed by the Govt Lab – Nathional Institute Of Virology (NIV), Pune. 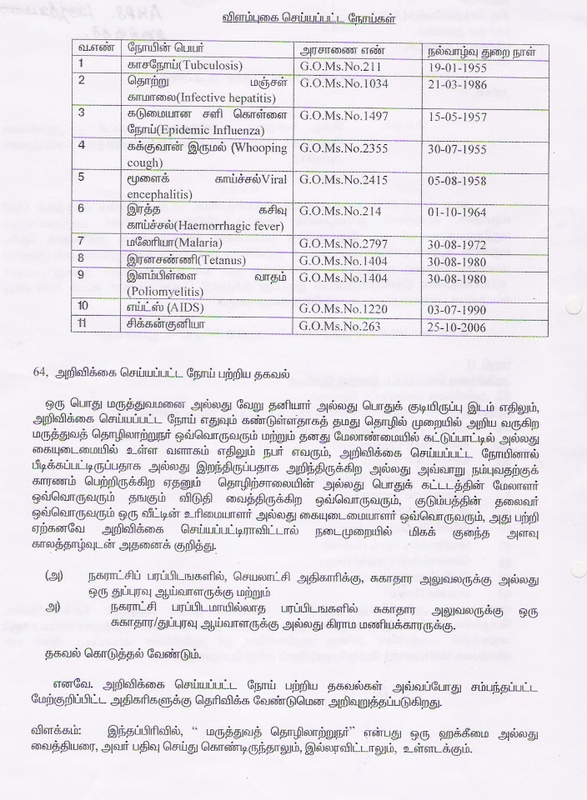 The same has been intimated to the Virudhunagar incharge- MHO, Deputy Director of Health Services, Commissioner, Chairman, Collector. The present outbreak is due to the poor roads throughout the town, which stagnates clean rain water were the Aedes mosquito(the chikungunya virus carrying mosquito) ideally breads.Immediate vector control is needed to spread of chikungunya to other districts. 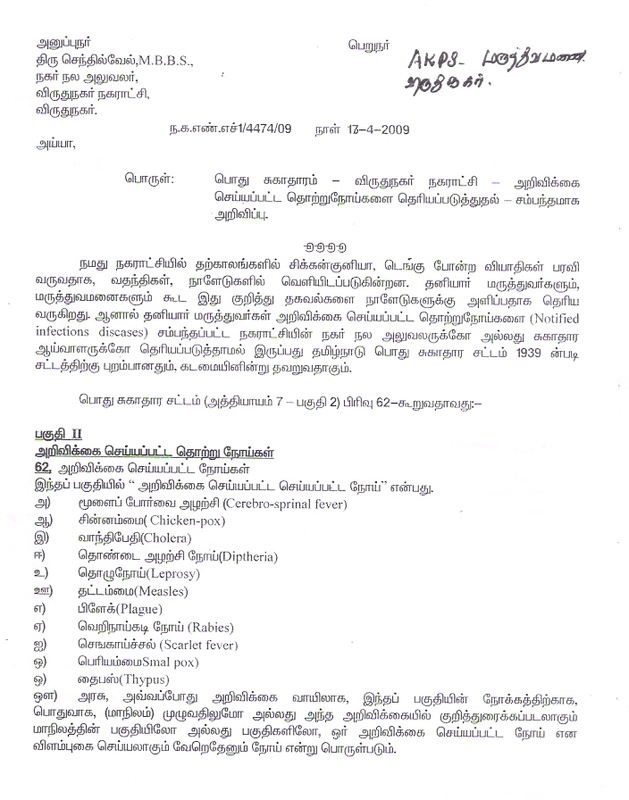 Instead the MHO of virudhunagar Dr.Senthilvel has come up with a letter joking that doctors and private hospitals are sending rumors that chikunguniya is there in VNR. 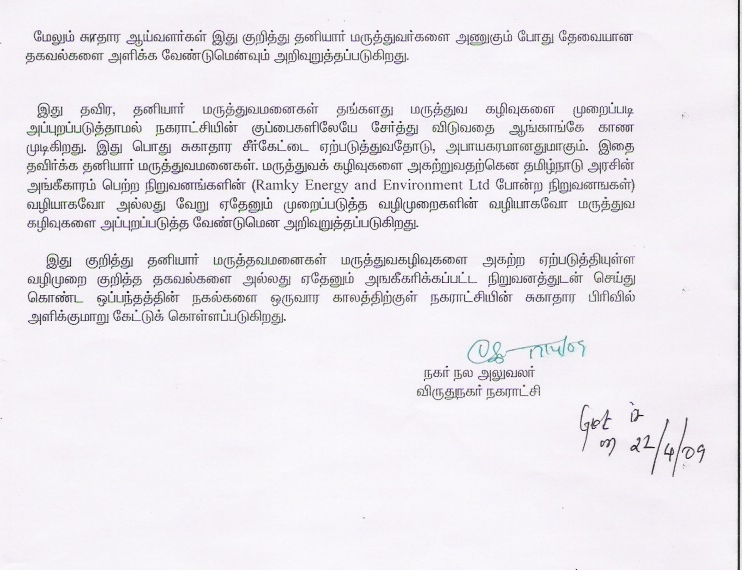 The same letter claimed that hospitals in VNR is not disposing the medical waste in a proper manner. This is stupid reply from a man in a important post. Trying to bogg down the people working for a cause. 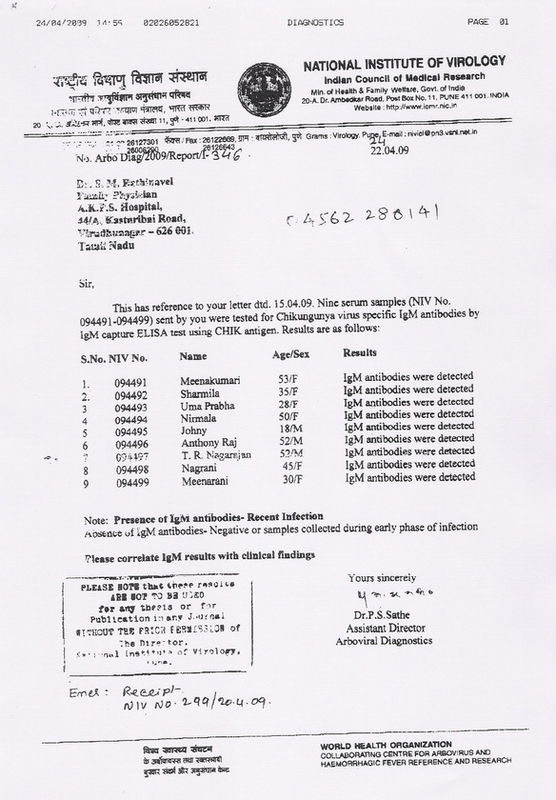 Virudhunagar is having a epidemic of chikungunya. These incharge people from the government should take responsible steps to stop this epidemic and prevent it spreading to other places. UNLESS THE ROADS ARE LAID IN VIRUDHUNAGAR THE VECTOR CAN’T BE ELIMINATED.